The ground breaking appliance this year, is one that promises to be better for your waistline. The hot air fryer is the best way to get the taste of delicious fried foods- but with 70% less oil! With one of these handy air deep fryers, you can fry, bake, and grill faster and healthier than ever before. Air fryers use rapid air circulation technology, to cook foods quickly and evenly. You can use very little oil, or no oil at all, and get restaurant quality results. So which one is the best hot air fryer for you and your family? Check out our handy air fryer guide to find out! This beautiful stainless steel hot air fryer from HOLSEM is equipped with a digital display, making it one of the easiest to use air fryers on the market. It can fry, bake, steam, grill, roast and unfreeze – all in one easy to use appliance. It can hold 3.4 qts of food, and you can easily adjust the temperature with the digital buttons, anywhere between 175℉-400℉. One impressive feature is the 30-min timer with standby feature, which automatically switches the fryer into standby mode when an item finishes cooking! The Nonstick basket makes this air fryer easy to clean, and then retractable cord makes it easy to store away. 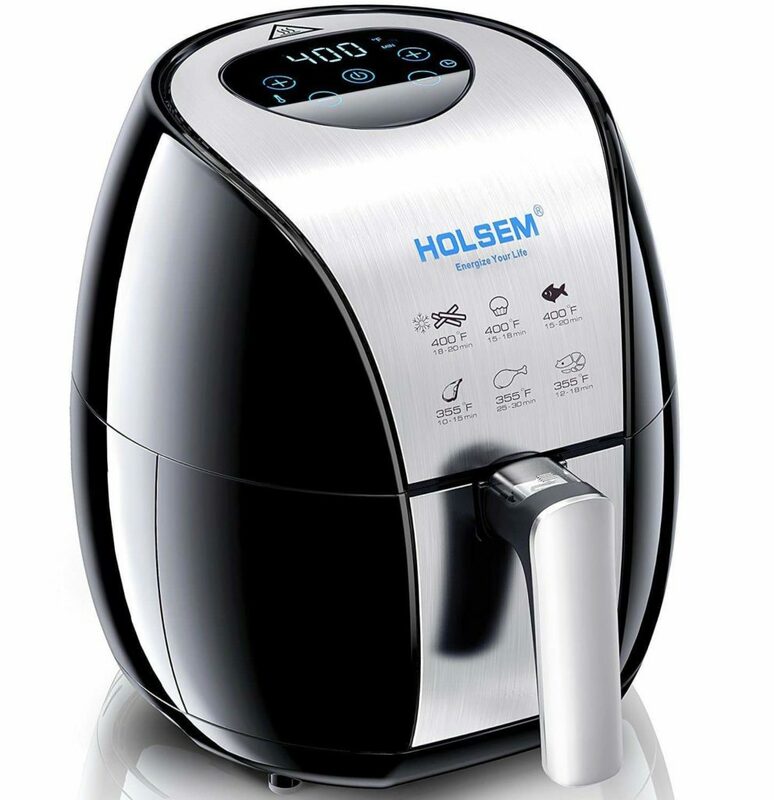 The HOLSEM is one of the best hot air fryer choices, because it comes with handy bonus accessories. The set includes 1 air fryer, 1 removable basket, 1 cook book, 1 pot holder, 1 set of kitchen tongs, 1 mini grill, and 6 cake molds. It’s is backed by a 30-day return & refund guarantee, and a 12-month warranty so you can love your fryer for years to come. Philips was the first brand of hot air fryers, and it’s no surprise that it’s a favorite of celebrity chef Gordon Ramsey. The Philips XL air fryer has a sleek and stylish appliance, with all the features you need to make delicious fried foods. It’s got digital touch screen interface that lets you adjust the temperature up to 390 degrees, for a variety of foods. 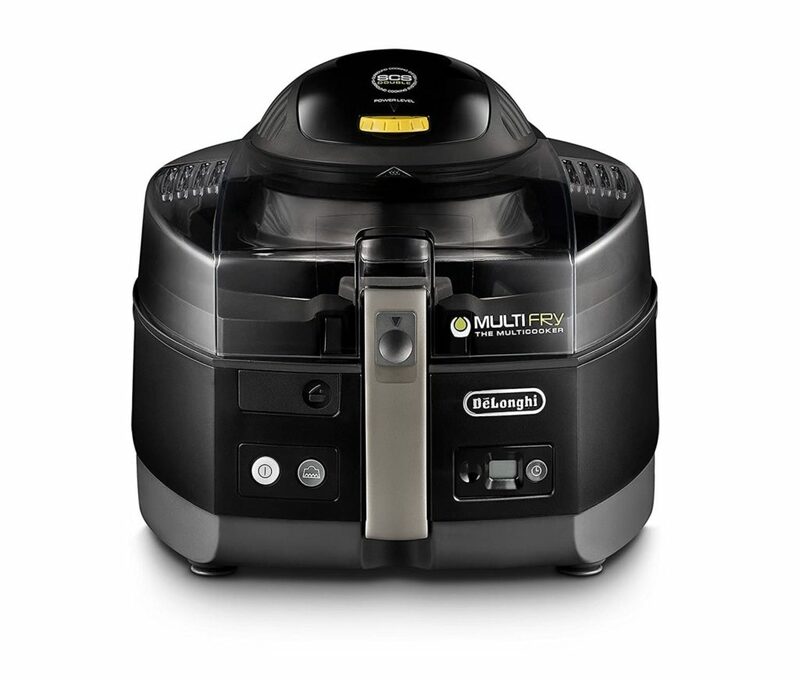 It also has a larger capacity than most air fryers, and can hold up to 2.65lbs, which is about 2 bags of french fries! It’s got a handy 60 minute timer, automatic shut off, and a smart setting that memorizes the settings for your favorite recipes. 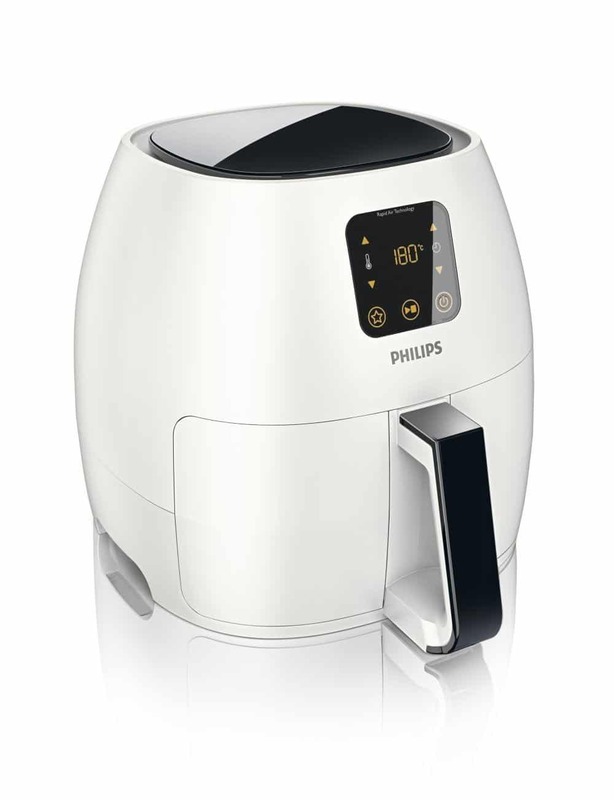 The components of this Philips XL air fryer are easy to keep clean, and are dishwasher safe. It comes with a handy recipe guide that will guide you on how to fry, grill, bake, and roast with your new hot air fryer. It also comes with a standard warranty, and satisfaction guarantee. 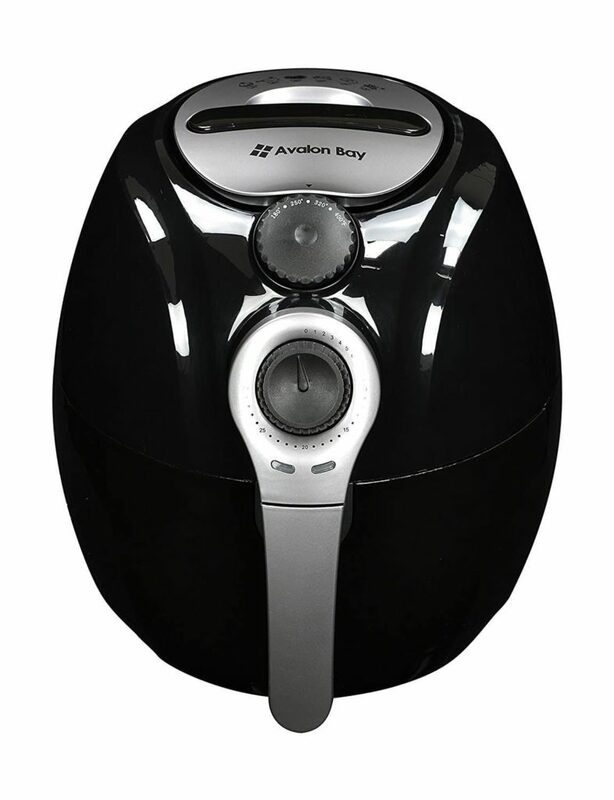 The Avalon Bay Fryer is a great basic air fryer that makes healthier versions of your favorite fried treats. It has a low profile design, and non slip feet making it easy to keep on the kitchen counter. This deep air fryer has a 3.7 QT capacity, and you can cook foods anywhere from 180-400 degrees. You can keep track of time using the handy 30 minute timer, perfect for most recipes. Each set comes with a non-stick baking dish, a multi-use rack, and the 52-page Avalon Bay cookbook, which will teach you delicious new dishes you can make in your air fryer. The Avalon Fryer comes with a 90 day guarantee, which is long enough to make sure it’s working perfect. This warranty isn’t as long as some manufacturers however, so if that is important to you, a different model is probably best. 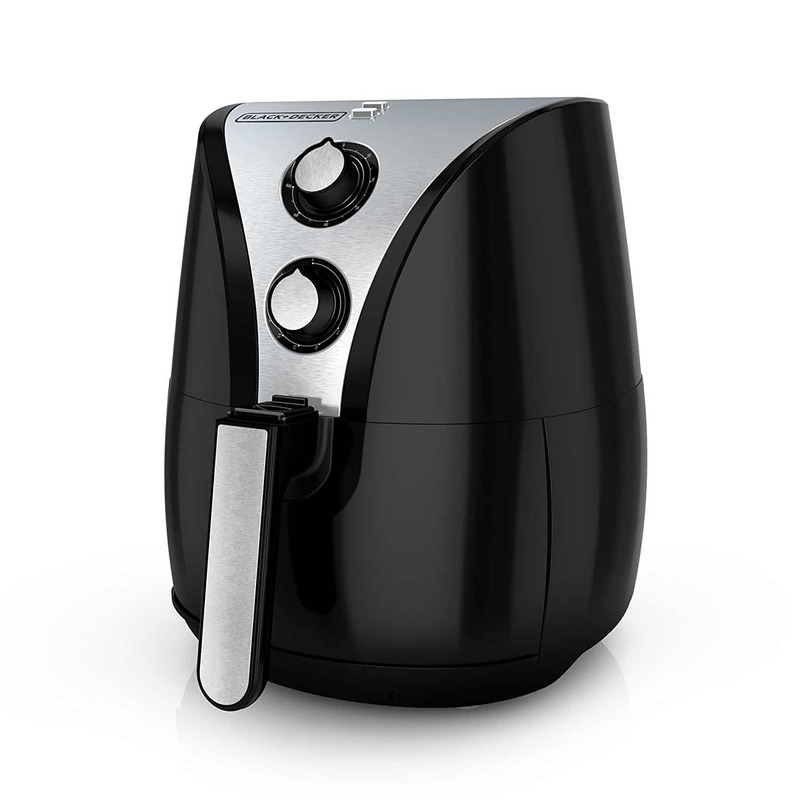 This hot air fryer from Black And Decker makes delicious guilt free foods, from a well loved brand. It’s got a stylish black and stainless steel finish, and easy to adjust dial settings. This deep air dryer uses dual convection fans, making it cook even faster than other air fryers. The Variable Temperature Control system uses indicator lights to show you when the unit is turned on, and when the pre heated temperature is reached. You can set the temperature anywhere between 175-400°F , perfect for any recipe. The Black and Decker Air Fryer has a 2 liter/ 8 cup capacity, which is plenty of room to cook up plenty of your favorite recipes. This air fryer also comes with a basket separator that lets you cook two different types of food at the same time, without mixing up the flavors. The basket and separator are dishwasher safe, and it’s backed by a Black and Decker satisfaction guarantee. This multi fry air fryer by De’Longhi is the most versatile air fryer around. It features an exclusive surround cooking system, and automatic mixing paddle, so you can prepare healthier fried foods and favorite recipes. The automatic mixing paddle mixes the food for you, so you can fry, saute or roast foods without stopping it to stir. This hot air fryer and has a 60 oz food capacity, and the temperature can be adjusted between 100-400 degrees. The De’Longhi air fryer is easy to keep clean and the lid, paddle and bowl are all dishwasher safe. It’s a quality brand with great customer service, and it’s backed by a limited warranty. This streamlined hot air fryer by Habor is another excellent choice for the best hot air fryer. It’s got a study design, and easy to read digital display. It can fry, grill, roast, steam, and bake, so you can try a variety of delicious recipes. This appliance can be used for up to 60 Minutes, and you can easily adjust the temperature control from 275°F – 400°F . It has a capacity 3.8 Qt, which is standard for these kinds of appliances. It also comes with a cook book, so you can learn how to make fun dishes, and it’s backed by a limited warranty. This air fryer by Nuwave is one of the most stylish air fryers around, with a nice blue color and square design. It features a handy pre set button to memorize your favorite recipes, and has a pre heat function to get better results. Even better is the re heat button which automatically warms your food back up to the previous temperature. You can cook food between 100-400 degrees, and it holds a large capacity of 6 qts. One of the best features of the Nuwave is that you can cook multiple foods at once, so it’s easy to make burgers and fries together! This hot air fryer comes with a basket and tray so you can make any recipe you’d like at the same time. It is one of the best hot air fryer picks because it’s large, a great price, and comes with a limited warranty. Which One Is The Best Hot Air Fryer? 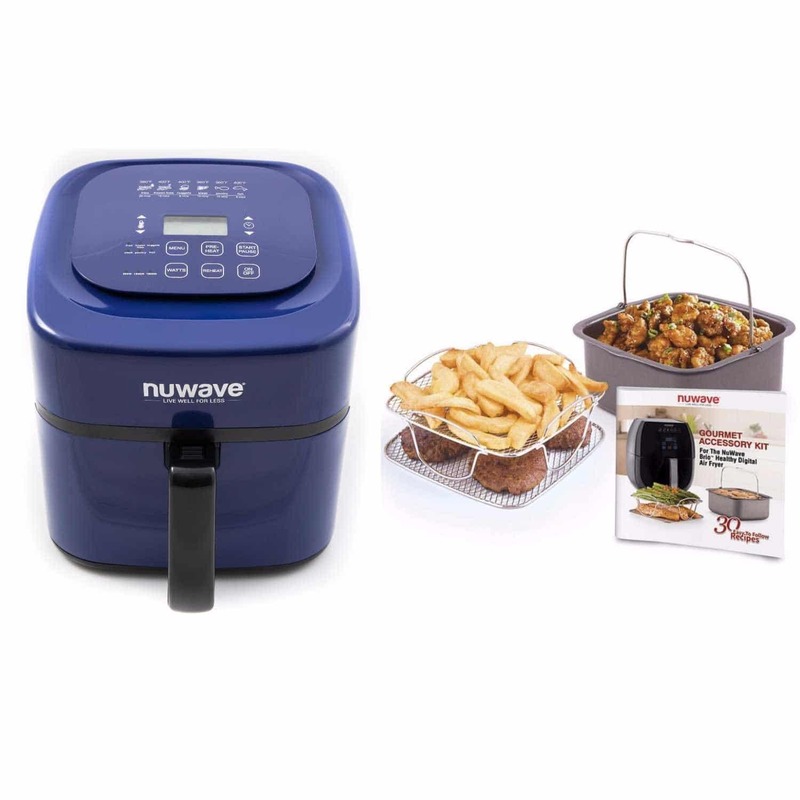 This hot air fryer by Nuwave wins because it has a lot going for it. It’s stylish, has handy preset features, a digital display, and best of all it can hold a lot of food. It comes with everything you need to cook multiple recipes at once, making it a great pick for families. 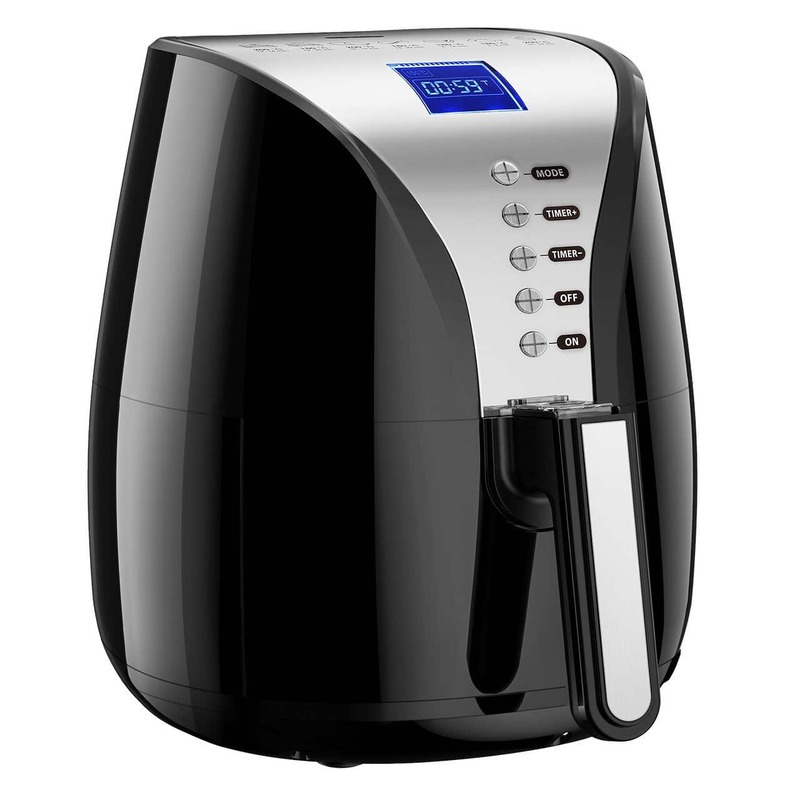 And if the bold blue color is not for you, this hot air fryer by Nuwave also comes in black. And there you have it, the best hot air fryers. We hope you enjoyed reading this air deep fryer guide, and that’ll you’ll enjoy making delicious recipes. Happy air frying!